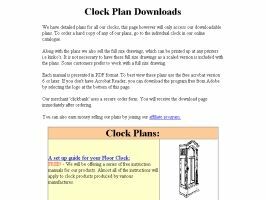 Clock Plan Downloads Detailed plans for all our clocks. Along with the plans we also sell the full size drawings, which can be printed up at any printers i.e kinko's. 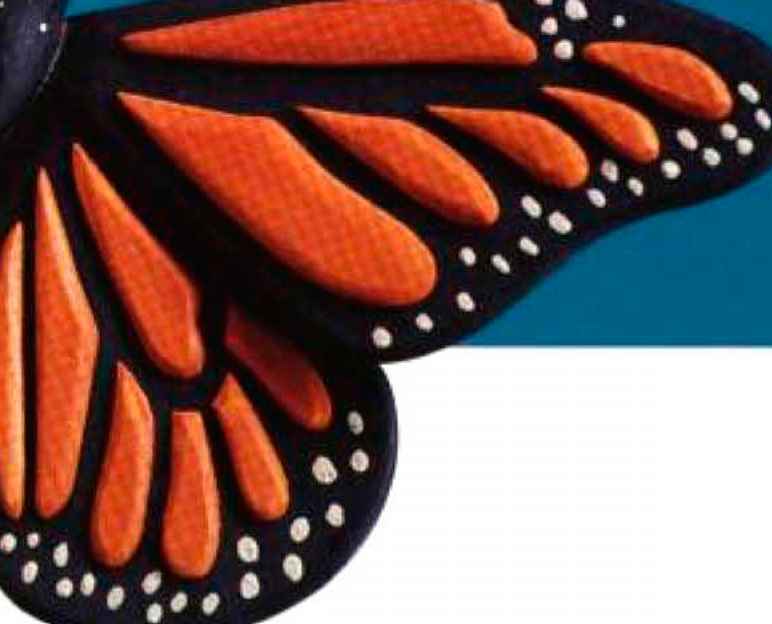 It is not necessary to have these full size drawings as a scaled version is included with the plans. Some customers prefer to work with a full size drawing. Available Plans: A set up guide for your Floor Clock. The Sir John A. Macdonald. The Forest Hill and The Apsen Plan. The Keepsake Grandfather Clock Plans. The very first point I want to make certain that Murray Clock Craft definitely offers the greatest results. Clock plans with full details and material lists. 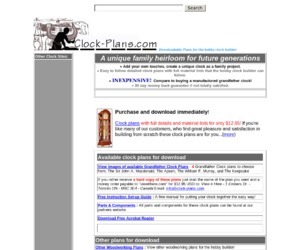 Add your own touches, create a unique clock as a family project.Easy to follow detailed clock plans with full material lists that the hobby clock builder can follow. Inexpensive! Compare to buying a manufactured grandfather clock!